Brisbane and the Gold Coast could emerge as the star-spotting capitals of Australia when major international hotel brands – The Rosewood, The Ritz Carlton, and The Dorsett – open their doors in South East Queensland. Artist Impression - Australia’s first Dorsett hotel. Australia’s first Dorsett hotel is currently under construction at The Star Gold Coast with expected completion in early 2022. Further north, the $3.6 billion Queen’s Wharf Brisbane integrated resort is the game-changing project bringing all three luxury hotel brands to the state’s capital, and is expected to open in late 2022. The Star Entertainment Group CEO Matt Bekier said bringing high-end and globally-recognised hotel brands was a ‘must’ for growing SEQ’s reputation as a world-class tourism, leisure, and entertainment destination. “We have invested billions of dollars and are investing billions more to develop global tourism destinations that can compare with the best in the world,” Mr Bekier said. “There is a shortage of high-end hotel product in the cities in which we operate – Sydney, Gold Coast, and Brisbane. “Acknowledging the need for more supply, and having confidence in a strong and sustainable future for our tourism industry, underpins our development strategy. The Rosewood portfolio includes The Rosewood Mayakoba in Mexico, which has hosted Leonardo DiCaprio and Kate Hudson; The Rosewood in London, which has entertained Justin Bieber and Ellie Goulding; and The Carlyle in New York, which has attracted Nicole Kidman and British royalty. The Ritz Carlton has attracted celebrities such as Uma Thurman, Martha Stewart, Benedict Cumberbatch, and Helena Christensen. “Our mega-resort developments will feature these luxury hotels and help attract major events which, in turn, will entice some of the world’s biggest names in the entertainment, sport, and business sectors,” Mr Bekier added. 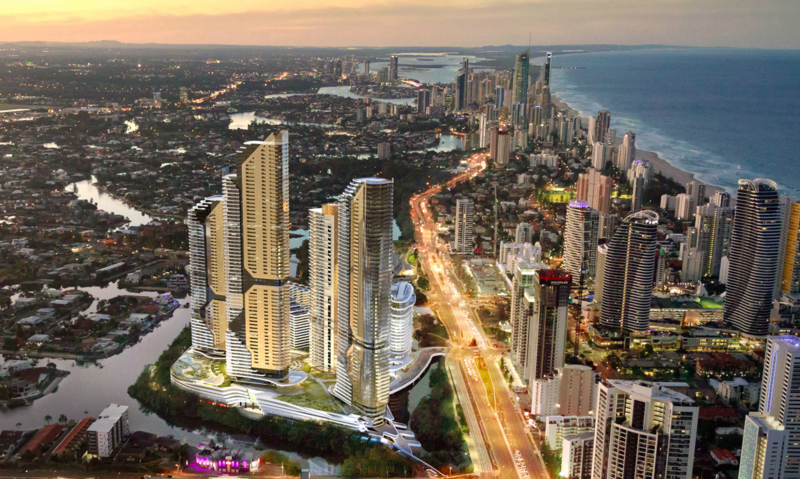 Concept Image only - What the Star Gold Coast could look like with its masterplan approved. In 2018, The Star Gold Coast completed the first stage of a multi-million dollar redevelopment, which included the opening of luxury suite hotel, The Darling, and saw The Star host and partner with major events including the Gold Coast 2018 Commonwealth Games, the TV WEEK Logie Awards, and The Star Gold Coast Magic Millions. These events attracted the likes of Chris Hemsworth, Matt Damon, Usain Bolt, Zara Phillips, and many others. That star-pulling power will further intensify with the planned features to be showcased within The Star Entertainment Group’s proposed $2 billion-plus masterplan for its Broadbeach site. Through its consortium partner, Chow Tai Fook Enterprises, The Star Entertainment Group has links to 60 hotels worldwide through the Rosewood Group and third-party hotel brands such as Four Seasons, Hyatt, Marriott, and Renaissance. “Chow Tai Fook is a private investment holding company with business portfolios in over 50 cities across Greater China, Asia, Europe, and the United States,” Mr Bekier said. “In addition to hotels, it is also the largest jewellery retailer in the world by number of outlets. 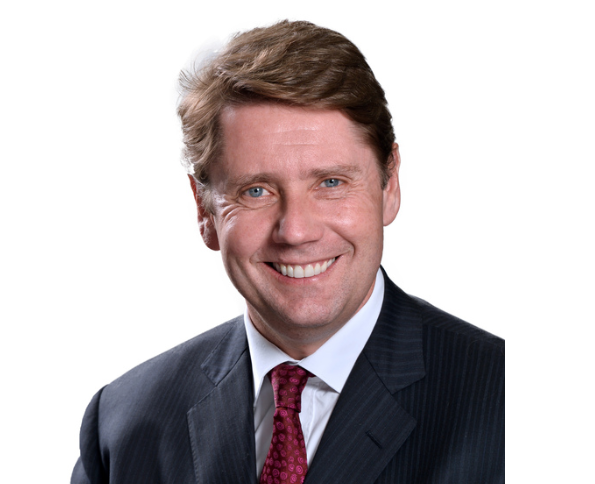 Mr Bekier said along with its partners, the company was excited to continue developing nearly $5 billion worth of assets in SEQ, and create a gateway for international visitors that will deliver scale and competitiveness across domestic and global markets. “Our vision is to be Australia’s leading integrated resort company and our plans for Brisbane and the Gold Coast are completely aligned with that positioning,” Mr Bekier said. “In addition to Queen’s Wharf Brisbane, we have completed The Star Gold Coast redevelopment and The Darling; purchased The Sheraton Grand Mirage Resort at Main Beach; and started construction on the Dorsett hotel and The Star Residences tower on Broadbeach Island. “Along with our consortium partners, we’ve also received state government approval to invest a further $2 billion-plus in a future masterplan for The Star Gold Coast that could feature up to four more towers as well as associated resort facilities. Click here to view the Star Entertainment Group website.